You don’t want to be put on the sidelines by an injury to your ankles or feet. They do hold all your weight and have to be ready for a variety of moves based on the exercise you’re doing. That’s why good workout shoes are important. Your feet often provide the only point where your body meets the ground and your shoes need to cushion that contact even when your feet are in an awkward position. Different activities require support in different areas of the foot, so not only is it important to have shoes that support your feet, but also ones that support it while you’re doing a specific activity. Getting the right type of shoe with good support should be a high priority. Injury is a big deal. It’s the reason trainers take the time to ensure you do every movement correctly. The ankles and feet are subject to abuse during a workout, so having a shoe that holds and cushions them as you’re moving not only helps prevent that injury, it makes your workout a far better experience. The fact that working out makes your muscles sore is enough of a deterrent. You shouldn’t be struggling with sore feet, too. Choosing the right shoe for the exercise you’re doing helps prevent that. Choose the shoe based on the workout you do the most. There are basically four different types of workouts when it comes to buying shoes for exercising. HIIT, weightlifting, yoga or dance and running style workouts both impact the feet in different ways. For strength training or weightlifting, you want a stable base that has good grip, a low profile that promotes stability and dense, hard soles to boost your power that’s more like going barefoot. HIIT shoes need shoes that have support, cushioning and yet provide stability as your feet hit the ground in a variety of lateral movements. If running is a top priority of your workout, have your gait and archtype analyzed to find the best fit for you. For dance style movements, choose a lightweight shoe recommended for your specific style of workout to add to your agility. Protecting your feet doesn’t need to cost a fortune, but don’t cut corners to save money either. Fit and appropriate support are the two most important factors in choosing your shoes. While brand names shouldn’t matter, some companies focus money and attention on finding the features that make shoes superior in each style of sport. They are often more expensive. Foot injuries from improper footwear can affect all parts of the foot and cause ankle strains, bunions, corns, fractures and pain in the ball of the foot. Good, well fitted shoes can lesson the impact and stress. Cross training shoes work for most people who do a little of everything at the gym. You’ll get stability whether you’re moving forward and backward or from side to side. They’re in between the high cushion of running shoes and the rigidity of lifting shoes. While some weightlifters like barefoot lifting to get maximum grip with the floor, weightlifting shoes provide the right foot position to help you get deeper squats and a wider range of motion. When buying your shoes, shop in the late afternoon or evening. It’s best when you do it after a workout. Your feet will be at their largest at these times. You want the shoe to be large enough without the heel slipping. The more you’re into performance in a specific area, the more important it is to get the right shoes. They can improve your overall ability in that area by providing the characteristics necessary like good grip or allowing quick changes in direction. If you’ve ever heard the saying, “If you believe it, you can achieve it.” you might not see how it has anything to do with fitness, but it does. When you think fitness, you become fit. That’s because it’s the core of your focus. Rather than thinking how fat you are, how out of shape you are or even how much you hate working out, focus on everything you do that helps you get fit. It will help you find new ways to improve your fitness. If you’ve worked out for a while, focus on your improvement. The story of two wolves illustrates it better. There’s a Cherokee fable of an old man telling a story of two wolves inside man, one good representing joy, kindness and good attributes and one evil representing greed, anger and other bad attributes. They’re inside everyone. They get in a fight and the old man asks his grandson, who will win the fight. The answer is the wolf you feed. Like any thought or emotion, the one you focus on and feed will prevail, which is why focusing on success in fitness is so important. Your attitude makes the difference between giving up and succeeding. When you focus on success in fitness, you’re giving yourself a head start. You’re eliminating the possibility of failure. Failure isn’t an option. You’ll start to see ways to get more exercise and be more aware of articles and stories about fitness. It creates a laser beam focus that shuts out any type of negativity. You still have to learn the workouts and be humble enough to follow instructions, but knowing you’re getting fit is the key. Know what you want from your workout program. Is it weight loss? Is it being healthier, having more energy or just feeling good again? No matter what your goal, achieving it comes from believing it’s possible. You can use affirmations, write down your goals and review them or just believe your personal trainer that if you do the work you’ll reach your goal. That belief will keep you going when the going gets tough. That’s how thinking fitness can make you fit. It keeps you pushing on when you want to stop and helps you go to the gym when you’d rather stay home. Avoid toxic people that are negative or simply don’t share your goals with them. You may have negative people surrounding you that don’t like the change that can occur if you get fit. Don’t share your goals or progress with them. They can create self-doubt if you let them. Don’t even consider that getting fit is selfish. It’s one problem often faced by giving people. It helps you stay strong to help others and so others won’t have to take care of you. Check to see if you have any negative emotions about getting fit. If you were raised to believe it’s vain to want to look good, it’s not. Just as dressing in clean clothes isn’t vain. However, there are other reasons to get fit, like good health and more energy. Focus on those. Find people, like yourself, who are focused on getting fit and work with them. Your combined mental energy will help you both succeed. You don’t have settle for rice cakes or food that tastes like cardboard or vitamins if you want to eat healthy. In fact, healthy foods can taste delicious, especially if you add a little spice. Here in McKinney, TX, most people love food that wakes up their taste buds. That’s why adding spice not only helps you keep eating healthier, it also adds nutrients that provide other health benefits. Cinnamon is one of my favorite additions to meats and veggies and can reduce the amount of sugar necessary. It helps you control blood sugar and lowers the risk of coronary disease. Like most herbs and spices, it adds flavor and nutrition without adding calories. Caraway seed is often neglected. Think of holiday cookies with a European background when you think of caraway seed, or maybe some sauerkraut with them added, primarily because they aid digestion. Those are often the most common places you find this seed, but you can also sprinkle it on roasted potatoes, add it to a tomato sauce or mix it in a yogurt dip for flavor. The caraway seed contains lots of nutrients, such as iron, calcium and potassium. Caraway seed also contains antiaging compounds. Fennel seed has a licorice flavor that does a lot for your body. If you’ve ever seen a fennel plant in the spring, you’ll love how gorgeous it is with it’s lacy leaves. By the fall, there’s a head of delicious seeds and a bulb under the soil that’s simply yummy. Fresh or dried seeds can be chewed to help settle the stomach, but they have other benefits for those trying to lose weight. The boost your metabolism, help curb your appetite and even help you get a good night’s sleep. Adequate sleep is important for weight loss. Add fennel to salad, soup and even curries. Who doesn’t love the fiery spice, chili peppers. You can change almost any dish to a roaring hot delight when you add a few chili peppers to it. The capsaicin in the chili is in the source of the heat and found most prevalent in the white parts on the inside, near the seed. While it has many health benefits, it’s an ace for weight loss by aiding in burning fat, boosting the metabolism and suppressing appetite. Plain unsweetened cocoa not only can turn ordinary hot almond milk into a comfort food, it also can improve your mood and add to the luster of your hair. Mix 100% raw cocoa with chili powder for a meat marinade that is super yummy. Add garlic to almost any dish for extra health benefits. It’s antiviral, antibacterial and an antioxidant. If the odor clings, save those dishes for times you’ll be alone or when your partner is eating it too. You’ll barely notice the flavor of turmeric in your food, but your body will love you for it. It’s an anti-inflammatory that’s been found helpful in reducing the risk of many diseases, including Alzheimer’s. Lemon balm, thyme and oregano are other herbs that add to flavor without adding calories. Each has their own health benefit. For instance, oregano has antibacterial properties plus vitamins and minerals. When sprinkled on tomato slices it boosts their flavor. When most people think of starting strength training, they picture body builders and bulky muscles. That is just one outcome, based on the trainer and the person they’re training if you’re a man. While some women can develop denser muscle mass, it takes hours of dedication for years and often supplementation for women to bulk up. Unlike men, they don’t have the body chemistry it takes to get big bulky muscles. In other words, if you’re a woman, you can drop that worry about looking like the Incredible Hulk when you add strength training to your workout. What you will get is a huge health benefit and a great, sculpted appearance. You’ll increase your muscle mass and that makes it easier to shed those extra pounds. Loss of muscle mass—sarcopenia—starts earlier than you think. If you’ve never been active or started to live a sedentary lifestyle as an adult, you might even show signs of sarcopenia as early as your twenties. Loss of muscle tissue makes it far harder to lose weight, since muscle tissue requires more calories to maintain than fat tissue does, so you burn more calories around the clock when you have more. Obesity has become the leading cause of preventable deaths, since it leads to serious conditions, such as diabetes. One proven aid to maintain bone density doesn’t come from a prescription drug, but strength training. 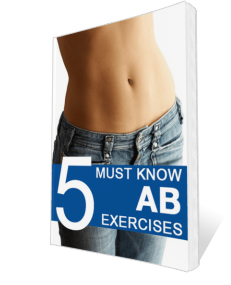 Weight bearing exercises that includes everything from walking to weight lifting. Studies show that weight bearing exercises can be as effective as many drugs for osteoporosis. One article from the Journal of Bone and Mineral Research based on research at Griffith University, in Queensland, Australia showed that high-intensity resistance training done twice a week improved the bone mass of postmenopausal women who had low bone mass. Best of all, there were no side effects from this type of treatment. Strength training can build muscles and more muscle mass means stronger bones. Strength training helps lower blood pressure. While you shouldn’t throw away your blood pressure pills the minute you start strength training, you should make sure that you not only talk to your doctor about your plans, but also have regular blood pressure checks to make sure the medication is still appropriate after a few months. When you build muscle strength, they contract easier, so it’s easier and doesn’t make the heart work as hard. One precaution. While you’re lifting, you actually raise your blood pressure, temporarily. Always make sure you’re fit enough to participate in physical exercise before you start any program. You’ll build muscle tissue that also helps you improve your balance. That can help prevent falls and injuries. Weight-lifting and strength-training is exceptional for eliminating belly fat. Belly fat, visceral fat, is the hardest to lose and also the most dangerous to your health. Strength-training eliminates it better than cardiovascular workouts. Strength-training helps control blood sugar levels. Consistent strength-training can also boost your mental health and cognitive functioning. Studies show that not only does it boost “happy hormone” levels, it also improves scores on tests measuring cognitive functioning in older adults with cognitive decline. Whether you want to lose weight or just eat healthier, snacks play an important role in your diet. Finding ways to add healthy snacks to your diet is easy. These snacks can be made from common foods you find in any grocery in McKinney, TX, so they’re not expensive to make, nor are the ingredients difficult to find. The role of snacks in your diet should be not only to add more nutrition, but also help keep you feeling fuller so you’ll eat less at meals. Go to an old favorite of dieters, raw veggies and dip. While some people can eat every raw vegetable available and never need a dip, most of us like that little extra flavor and pleasure that comes with dipping a veggie. When you add a dip to your snack, it adds extra calories, so in this case, size matters. There are a multitude of veggie dips that are excellent two of my favorites are bean dips and spiced yogurt dip. You can mash almost any type of of bean, with white beans making one of my favorite. A food processor and plenty of spices and lemon zest make a delicious dip. Canelli beans, herbs and Parmesan cheese or other beans pulsed with spices are exceptional. There’s a world of yogurt dips that are super simple, like mixing sriracha sauce, garlic powder, salt and pepper with Greek yogurt. Mashing avocado with lemon juice and spices, Parmesan cheese or salsa also makes a great dip. Fruit and protein is an outstanding snack. Nut butter spread on apple slices or grapes with small sticks of cheese can boost your energy immediately with the sugar from the fruit and keep it high with the slower digesting protein. One of my favorite, especially in the summer, combines cottage cheese and cantaloupe. Applesauce and cottage cheese is another good one. Drink a smoothie that won’t add pounds. Unsweetened yogurt can make a great snack, especially when combined with fruit. If you have a blender handy, throw it in the blender and make that fruit frozen. It’s delicious. Mix 1/3 cup yogurt with 2/3 cup of frozen fruit and ice. Freeze cubed mango for a cold summer treat that’s sweet and satisfying. Blend frozen berries or fresh fruit with yogurt and pour it in a Popsicle form. These are frozen treats you won’t want to miss. Pack small plastic bags with serving sizes of tree nuts and seeds for a low calorie, high nutrition treat. A few dried cranberries, dark chocolate bits or raisins can add to the flavor and variety. Don’t forget pistachios. A fourth cup of popcorn kernels in a brown paper sack that’s folded on the end is the perfect way to make low calorie microwave popcorn. Sprinkle with various seasoning from wasabi to buffalo wings or a sprinkle of Parmesan cheese. Frozen bananas either plain, mashed and whipped like ice cream or dipped lightly in nuts make a tasty snack that adds nutrition without adding a lot of calories.